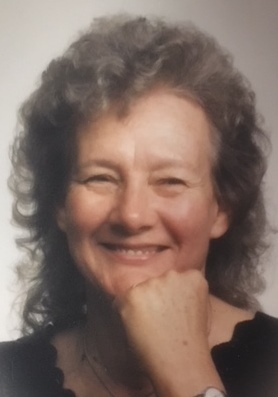 Obituary for Betty Ruth Kelly | Fletcher Funeral & Cremation Services, P.A. Betty Ruth Kelly, 83, of Westminster, died Tuesday, Dec. 4, 2018, at the Dove House. Born May 21, 1935 in Baltimore, she was the daughter of the late Willie Cole and Myrtle Asper Cole. She was predeceased by her husband Russell Dell in 1984. She was a member of Grace United Methodist Church, Women of the Moose Chapter No. 897, Hampstead American Legion, enjoyed bingo at the Gamber Fire Hall and loved to cook dinners for her family. She is survived by 4 children, Debbie Thomas (Mike) of Sykesville, Dwayne Dell and companion Mary Miller of Hanover, PA; Denise Robertson (Gene) of Westminster and David Dell and girlfriend Beth Stallings of Glen Burnie; 7 siblings Ethel Fridinger, Robert Cole, Samuel Cole, Mary Montour, Doris Malone and Helen Trimmer. Also survived by 6 grandchildren and 7 great-grandchildren. She was predeceased by a brother Charlie Cole. Graveside services will be held on Friday, December 7, 2018 at 11 a.m. at Evergreen Memorial Gardens in Finksburg. Contributions may be made to a charity of your choice. Arrangements by Fletcher Funeral & Cremation Services in Westminster.